Mrs. Nevagene “Jean” Almonrode Roberts, age 93, of Hendersonville, TN, passed away on Saturday, March 23, 2019. Mrs. Roberts was born in Livingston, TN, on May 21, 1925, the daughter of the late Herthel D. Almonrode and Louetta Waites Almonrode. Jean will be remembered for her kind, loving nature, her artistry and her faith. Growing up on a farm during the Depression era, Jean knew the value of hard work and healthy living. She cared for her home and family with loving attention to detail, and determination to never let anything be wasted. Jean had strong faith that the world was in God’s care, but also believed that He meant for her to be His helper as a caregiver for others. In addition to her parents, Mrs. Roberts was preceded in death by her husband and high school sweetheart, James Leonard Roberts and her three siblings and their spouses, June White (Leon), Charles Almonrode (Ruby), and Kent Almonrode (Theda). Survivors include her daughter, Janice Davis (William R. Davis, Jr.); three sons, Kenneth Roberts (Mary), Don Roberts (Julie), and Doug Roberts (Angela); grandchildren, Steven Wingfield (Shannon), Rachel Karlin (Andrew), Rebekah Schmidt (Ronald), Laura Lamb (Ehrick), Victoria Roberts, and David Roberts; and eight great-grandchildren. Many nieces and nephews also survive. There will not be a formal service, but visitation will be held Saturday, March 30, 2019, from noon until 4:00 P.M. at Hendersonville Funeral Home 353 E Main Street, Hendersonville, TN. The interment will be private. In lieu of flowers the family would appreciate donations to ARC of Cumberland Valley/Project 22, 1241 Timberwood Drive, Gallatin, TN 37066. This is a program that Jean’s autistic grandson attends which he greatly enjoys. 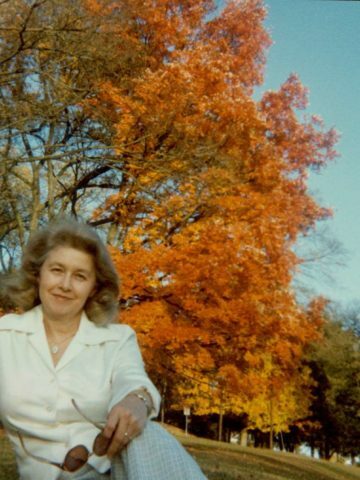 My loving, caring, alway calm spirited Aunt Jean, who kept (my Mom)her sister close throughout their lives, a very special sister relationship. Our family loves our times together. With Aunt Jean’s memory lost in the past couple years, saddened us all. I have missed our almost weekly chats. Cant say enough of my love for my sweet Aunt. A Lovely classy frugal lady. Taught me how to embrace Gods Grace and share it. Her Joy could not be touched. Love My Aunt Jean She is hugging my mommy in heaven. Sitting Next to Jesus. My condolences to the family. Much love! Barb White. one of her sweet nieces. Our deepest sympathy goes out to the Roberts family. Working with Ken and listening to a few of the Roberts stories, we can tell Mrs. Roberts was a special lady. As we share our stories, we almost feel like and extended part of the family. We will continue to keep each of you in our thoughts and prayers through this sad time. As requested we have made a donation to the Arc of Cumberland Valley/Project 22, what a wonderful way to celebrate Mrs. Roberts.